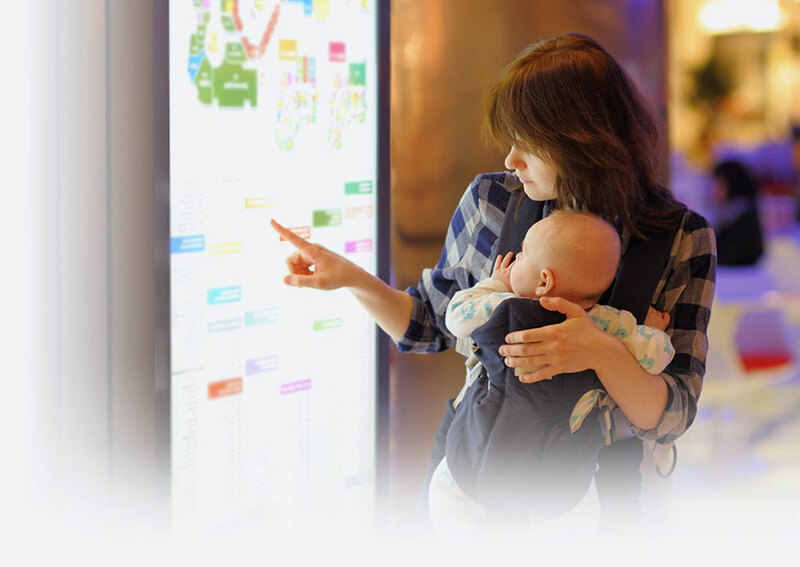 Explore how digital signage can be a game changer for your business. Engage, educate and empower your audience. Our solutions allow you to start small and expand as the need arises. 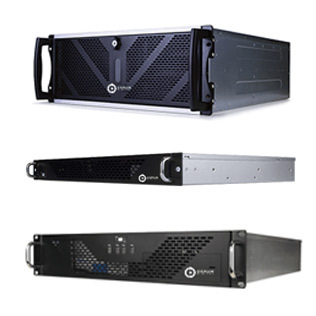 A unique set of solutions ensures you will continue to grow into the MediaTile platform by expanding the features in your digital signage network. 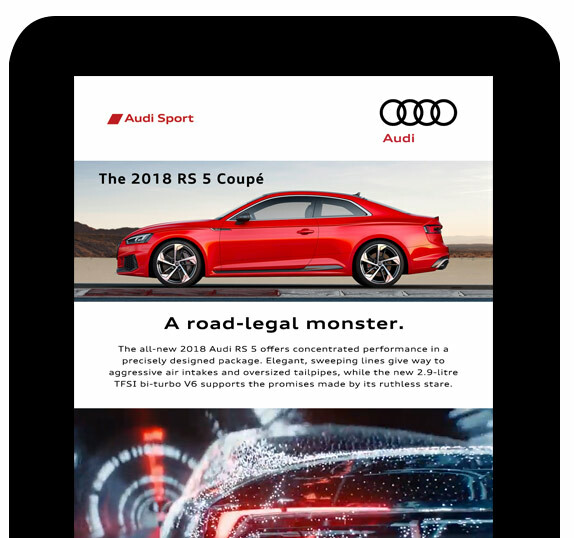 These powerful features will help you engage, educate and empower your audience, so you can achieve your visual communication objectives. Whether you have a display, video wall or an interactive kiosk, let our team help you build better brand awareness, and interact more effectively with your audience. We will work with you to determine what your customers are looking for and present it in a way that will allow them to engage with your brand. Commercial grade equipment, so you never have to worry. We partner with the best in the business to give you displays that you can rely on day in and day out. 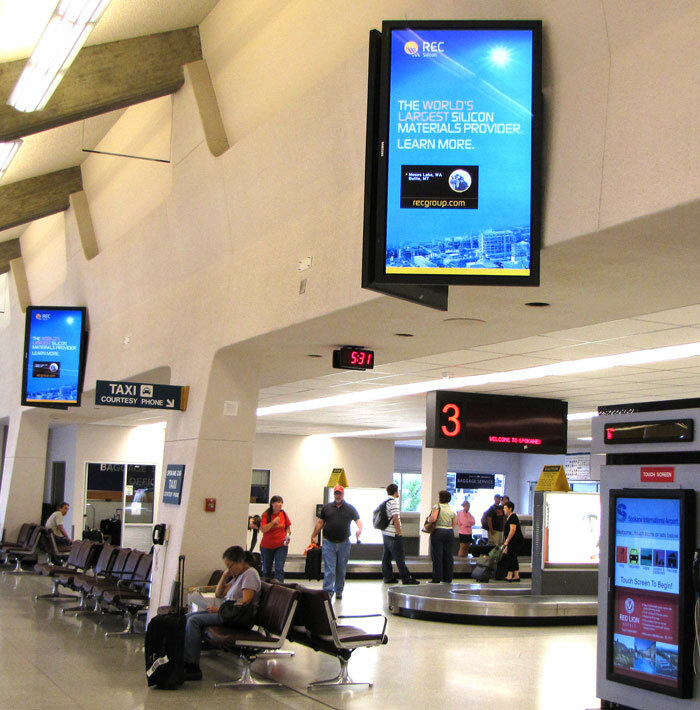 Our commercial grade displays are designed for 24 hour a day, 7 day a week operation. 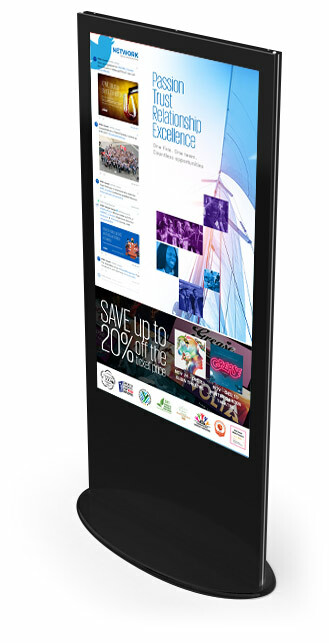 We have every size display imaginable, from 10” tablets, to 90” full 4K displays and everything in between. In addition, you can incorporate video walls and full featured interactive kiosks to your facility. All this combined with our purpose-built media players and easy to install mounting systems, ensures your displays will look and operate perfectly. 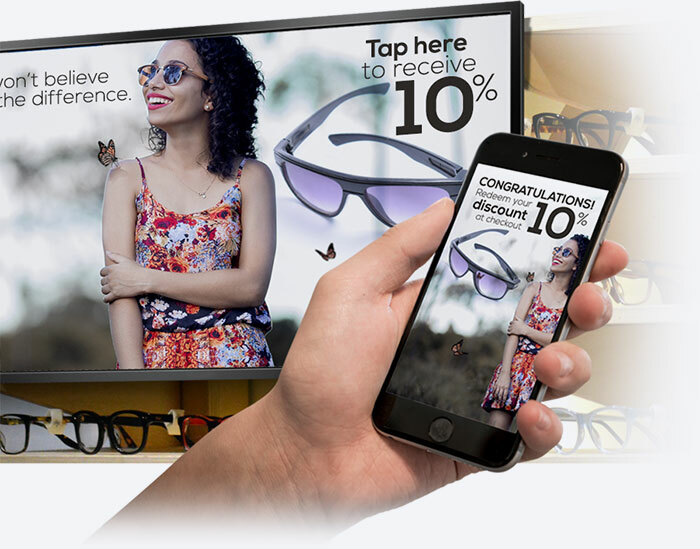 Add touch interactivity to any display and create a truly immersive interactive customer experience easily. The MediaTile platform has the built-in flexibility to support a wide range of multi-screen configurations including non-standard setups. 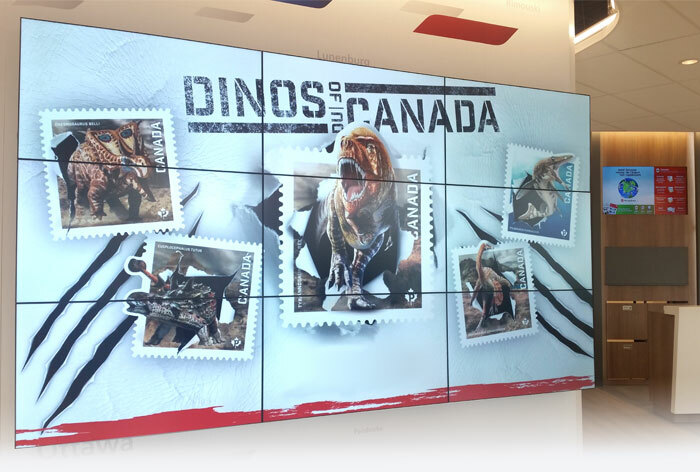 If you are looking for a real wow factor, we have purpose built video wall players for video walls extending from simple 1 x 2 configurations to 8 x 4 configurations that can span a massive 30 feet. 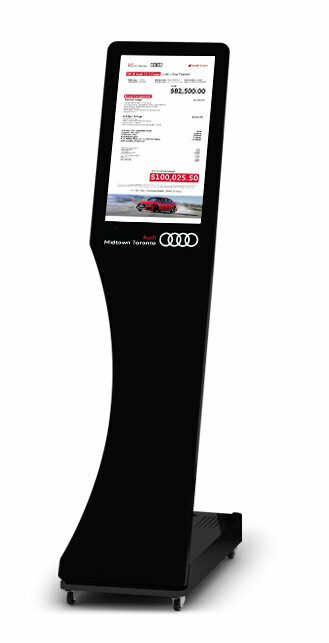 All of our Interactive Kiosks have been built using commercial grade components for high traffic environments. These kiosks are being used in many ways across different industries. 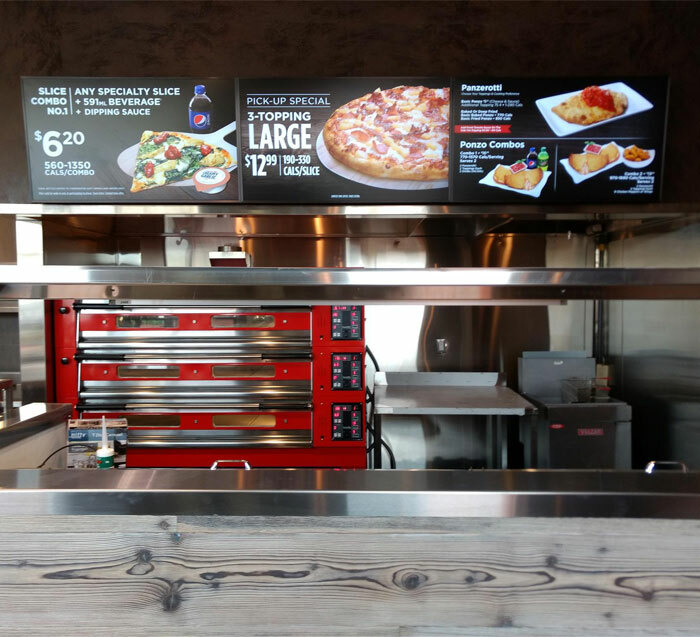 A few examples of how kiosks are being used today are to showcase products, guide guests in commercial buildings and using them as digital menus to name a few. 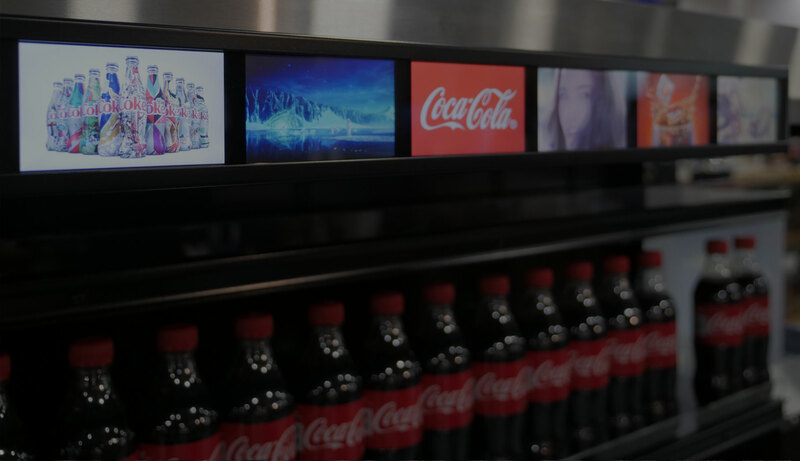 Create digitally immersive experiences by converting conventional merchandising displays and store shelves into digital media communicators. 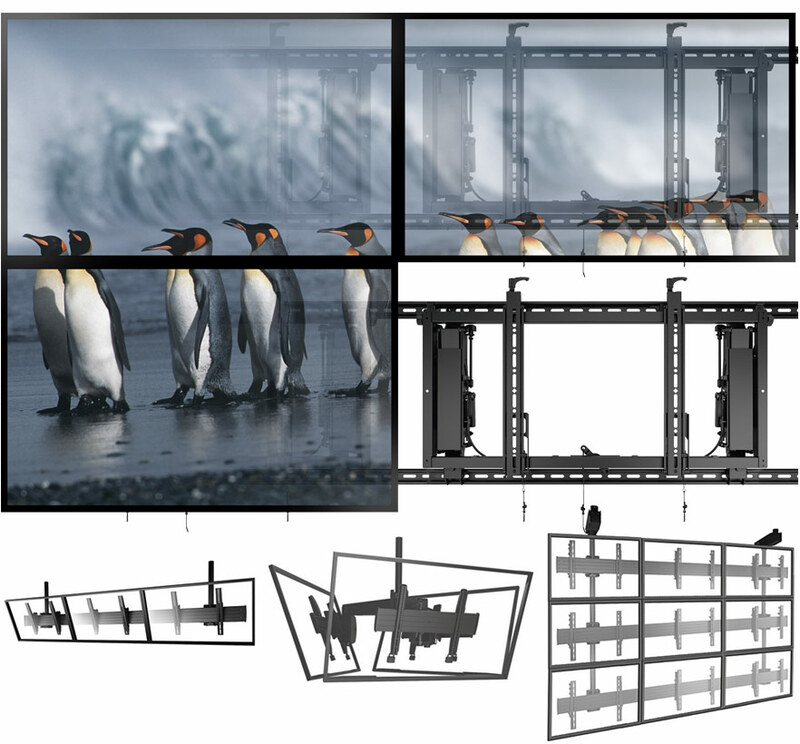 This multi-display configuration can either function as multiple individual displays or as a single messaging display, in either vertical or horizontal orientation. 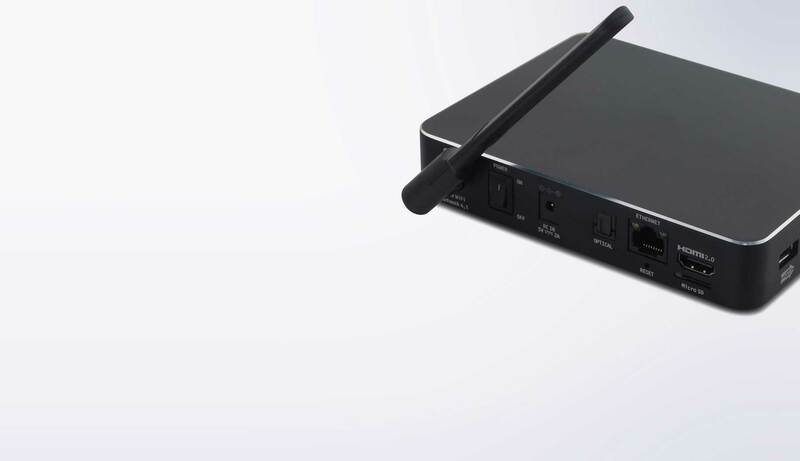 The NEW MediaTile CMP100-6 Android based media player is the perfect choice for most single screen installations. The MediaTile CMP400/1600/3200 purpose-built Windows 10 based Video Wall players are designed for 24/7 use in all Video Wall applications. MediaTile's powerful media player software now runs on the latest generation of Samsung's Tizen based, all-in-one SMART digital signage displays. 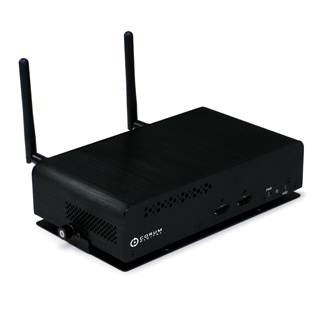 Because the media players are built into the displays, no separate mounting hardware, power or HDMI cable is required. These new displays reduce the complexity of installation yet still give you the quality and ease-of-use that you expect from MediaTile. 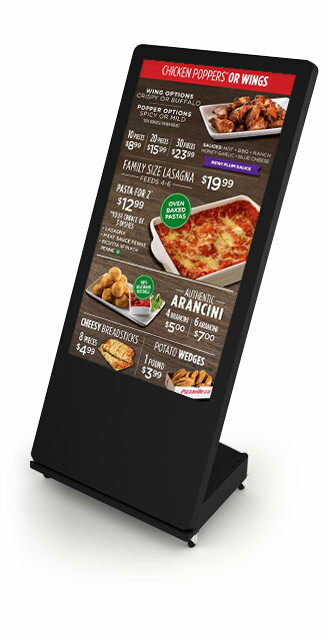 With the ability to synchronize content across multiple screens, these displays are perfect for over the counter menu boards to showcase your products and promote your brand. 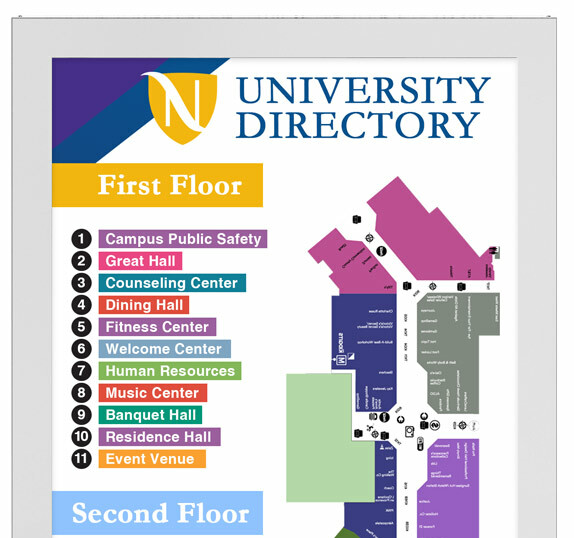 Wayfinding is an effective way to guide people through complex environments such as malls, healthcare facilities, educational campuses, government facilities, office buildings and transportation area. This solution helps eliminate print and logistics costs including employees updating individual bulletin boards or brochure stand. 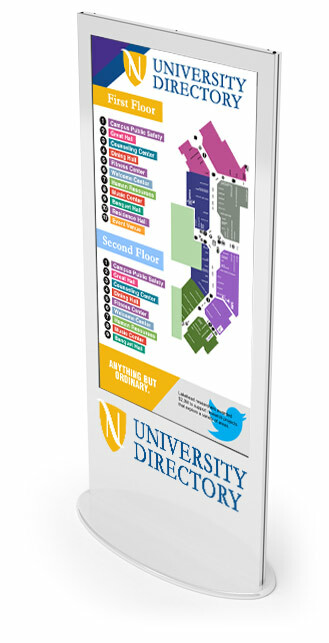 Wayfinding creates a positive experience for each user, because they are able to interact at their own pace. 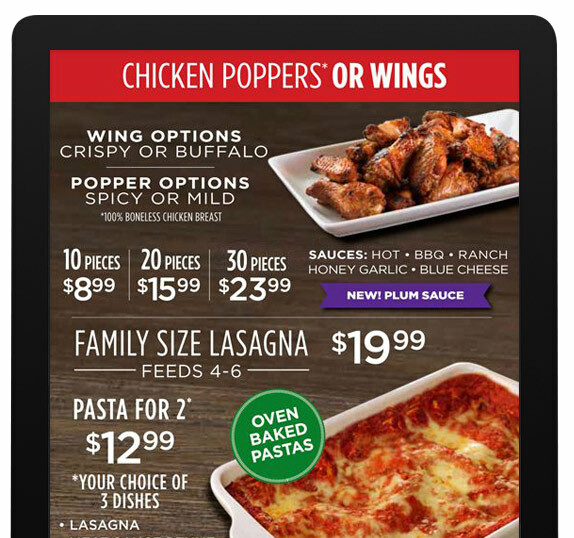 A digital menu board shows a more realistic expectation of what your food looks like and gives you better control of your content and brand. 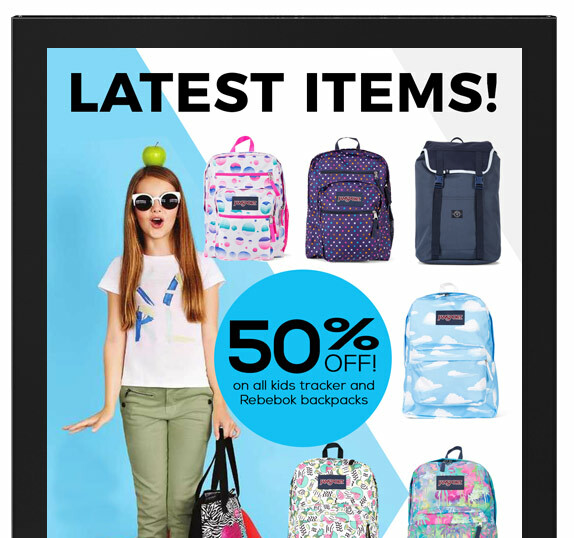 It also can point out featured items, best sellers and daily specials. HumanKiosk powered by Video Presence. The HumanKiosk Solution combines the capabilities of interactive digital signage with on-demand experts. Introduce digital face-to-face interaction to revolutionize in-field customer service for point-of-sale or point-of-service environments. Wall, ceiling, floor, portrait or landscape, any way you want it! Portrait or landscape modes, we can handle any mounting requirement. 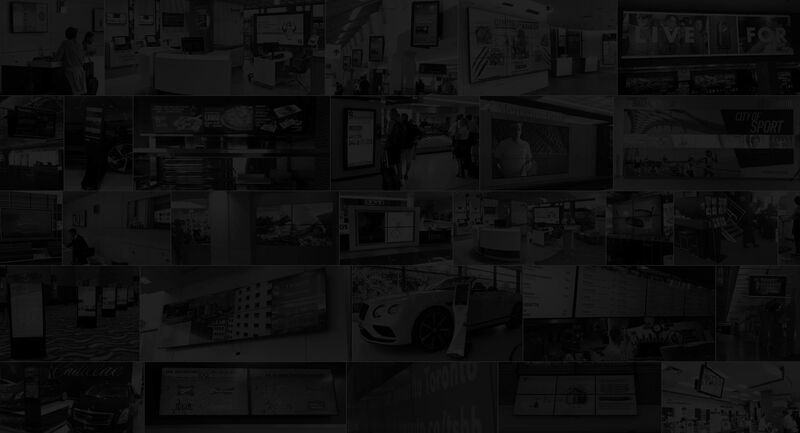 Mounting is a key part of your digital signage system. We offer a wide variety of mounting options and stands that are available for virtually any deployment. Whether you require floor mounts, rolling mounts, wall mounts, ceiling mounts or customized mounting enclosures, in portrait or landscape modes, we can handle any mounting requirement. Content that speaks to your audience. 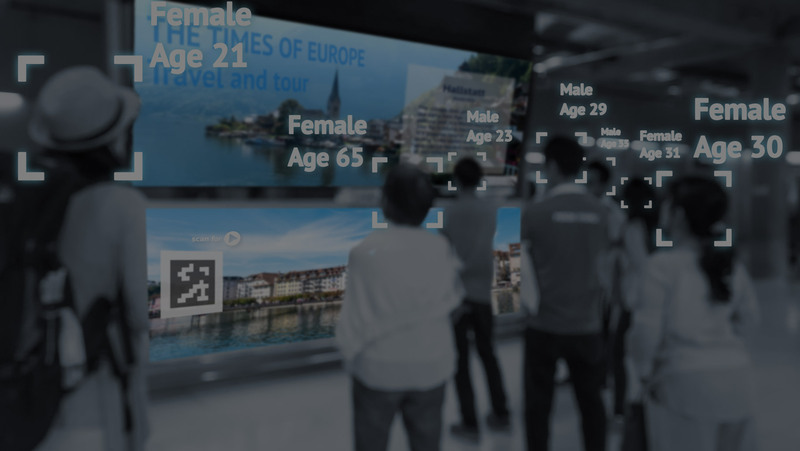 The MediaTile Anonymous Analytics and Facial Recognition feature can help identify who is viewing or interacting with your displays. It’s a great way to get insight to advertisers so they know who they are targeting. Use anonymous gender and age demographics to trigger specific content that directly relates to the viewer. 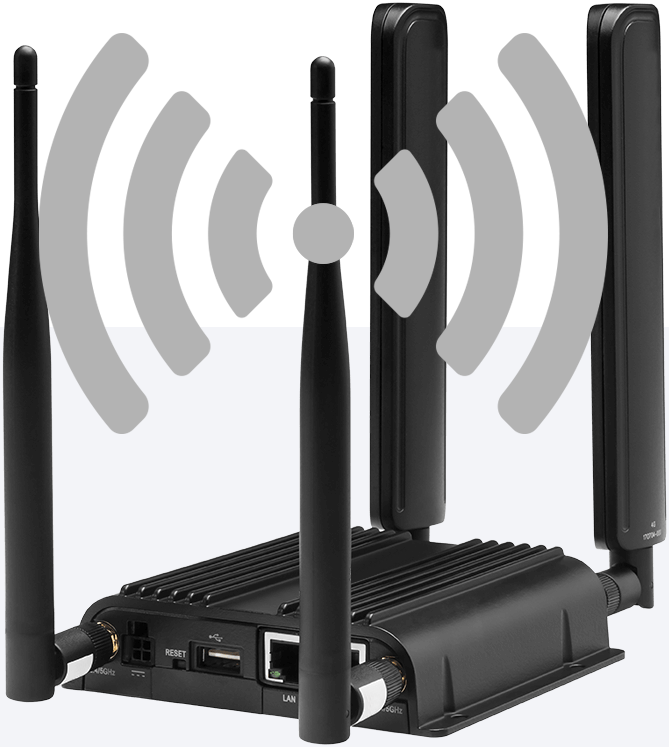 MediaTile was designed from the ground up to take full advantage of cellular networks. 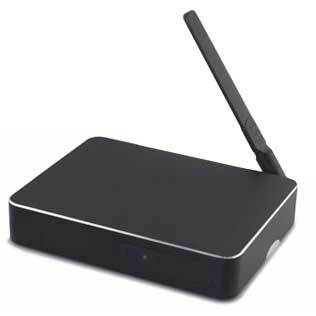 We utilize commercial cellular routers to ensure your connection stays up and your content is always playing. We also have relationships with many cellular providers to get you connected wherever you need, just add power and your content is always up-to-date. Beacons are small devices that repeatedly transmit a small amount of data via Bluetooth Low Energy (BLE) or Wi-Fi with Bluetooth BLE. To make a Beacon useful, a device must be available to pick up the signal they send. This device is called a receiver. A mobile phone can work as both a Beacon and a receiver. 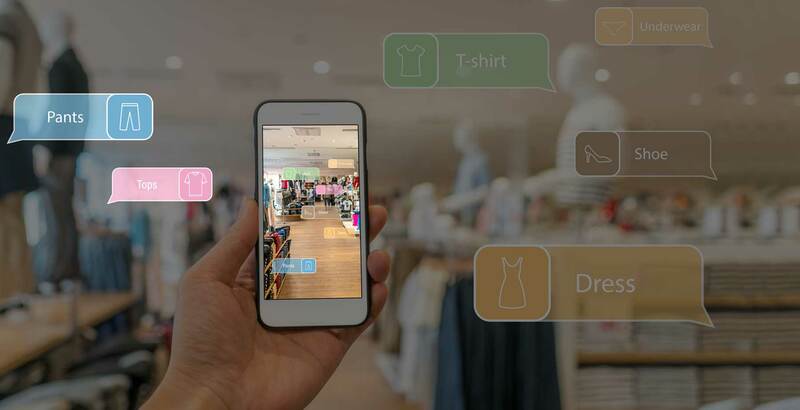 The 2 most common uses of Beacons are for monitoring the movements of people or assets within a space or for triggering a notification on a mobile device when a user enters a space. To make Beacons truly useful, they must be used in conjunction with mobile devices. Unlike Beacons, NFC is a set of communication protocols that enables communication between two devices. Simply bring the devices between a few inches of each other and communication is automatically established. 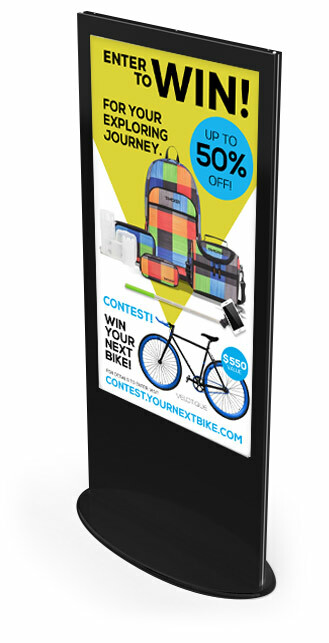 An NFC device can be built into a display or kiosk to allow users to tap their phone to receive additional information about the product being featured. 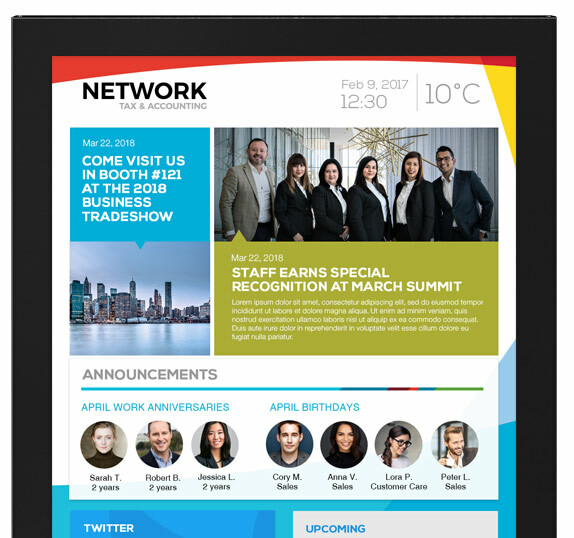 Engage you customers with mobile device integration.